For many of you, Labor Day marks the end of summer, but I’m sure some of you are still experiencing warm weather in your area. 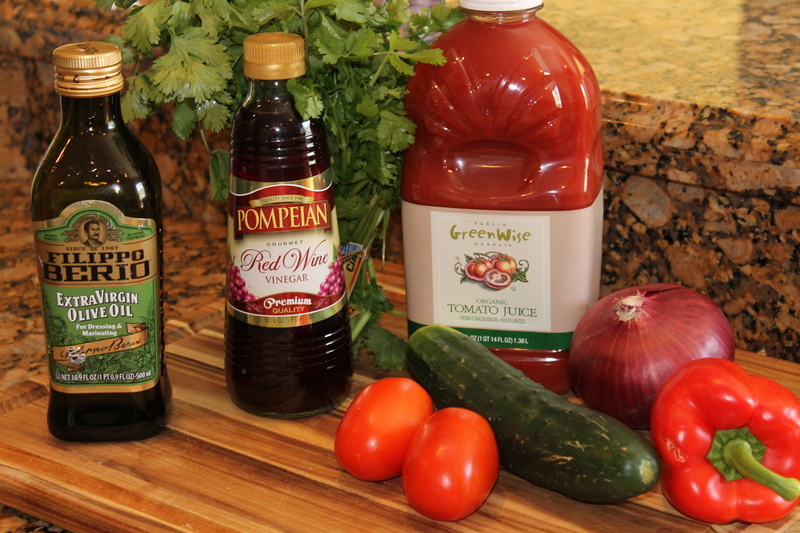 Here in South Florida, we have the sunshine to keep us warm most year’ round, and there is nothing like a Gazpacho soup to cool us off. If you are vegetarian, you will love this dish. 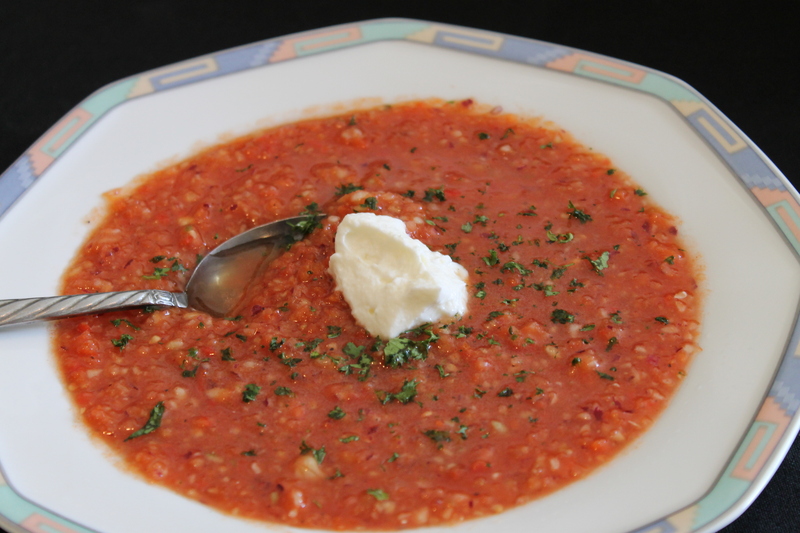 Gazpacho is a cold soup that originated in Spain and is usually made with a tomato base. I’m sure there are many versions of this soup, but today, I will share mine with you. 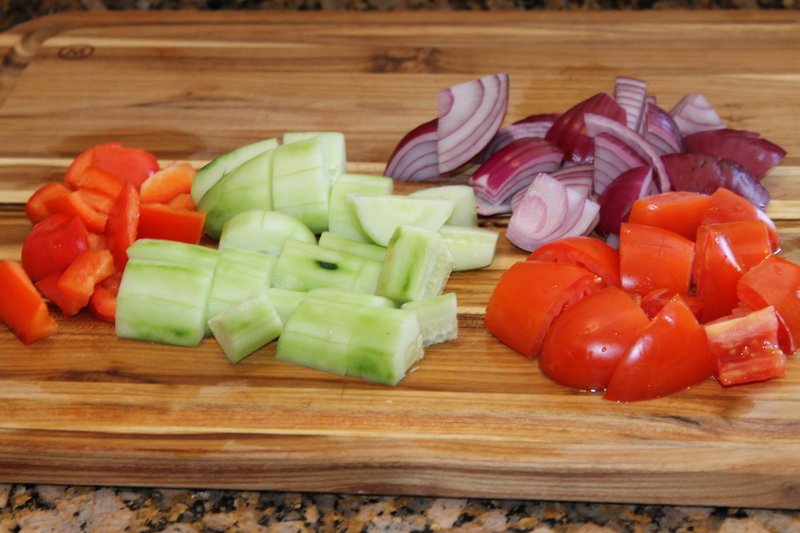 Rough chop all the veggies and place in a food processor, add the tomato juice, olive oil, vinegar and spices. Pulse them until you get a coarse texture. 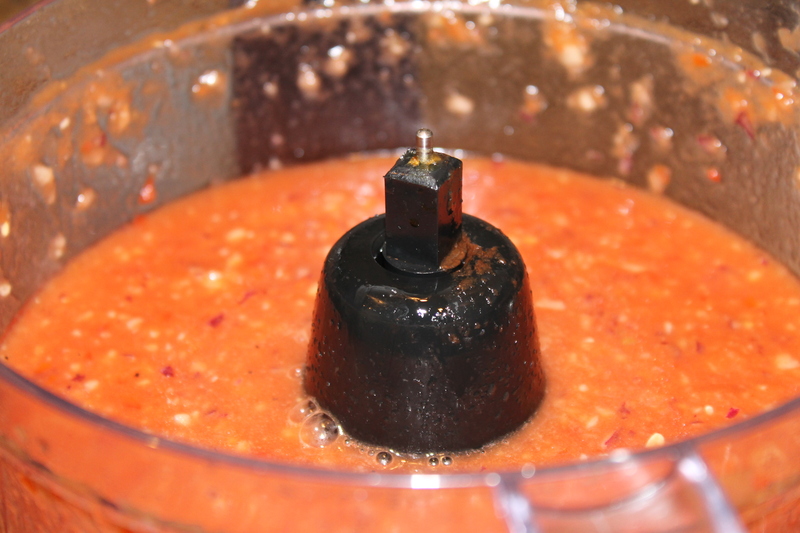 If you over process, you will get a purée, and that is not what we are looking for. You want to be able to see bits and pieces of the veggies to make this dish appealing and give it some texture. Place soup in a plastic container, cover and chill for at least two hours. If possible, I recommend to chill it overnight to infuse all the flavors. Pour in a bowl, garnish with chopped cilantro and a dollop of sour cream. Voila, you got yourself a healthy, refreshing and delicious soup. Some recipes call for bread but I choose not to use it. If you are entertaining, and want to get a little fancy, you can add some small cold shrimp as garnish to dress it up and WOW your guests. Please note, I do not get paid for these products, I use whatever I have in the pantry at the time. Feel free to use a brand of your choice and never be afraid to experiment by adding your own twist to any dish. Be creative, and let your personality shine through your cooking. It has been my pleasure to share this simple yet delicious recipe with you. Eat healthy and stay healthy. Be sure to stay tuned for my next blog, it will be a fun one. Until next time, Happy Cooking from Gina’s Kitchen.